A few more cards for my stash. 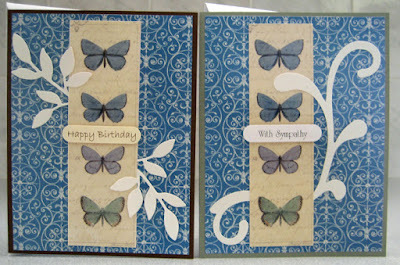 I had laser printed two sheets of these butterfly elements expecting to make up a set of card kits for my last class and that did not work out a the time. The image is one from Pixabay - Artsy Bee which I digitally manipulated to get several different coloured images to provide some variety. So I took the challenge of making stash cards with them instead. 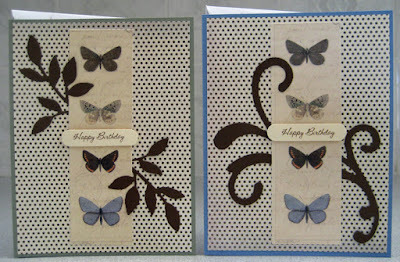 I started with this polka dot background paper (digital laser printed) which I layered onto green for my first card and blue for my next one. I added some brown die cuts in between to add some texture and interest. The first one has a set of little leaves (SU) and the other has a large swirl (Sizzix). I added a small greeting in the middle which was laser printed, punched with the Word Window punch (SU) and mounted over the butterflies using 3D foam tape. 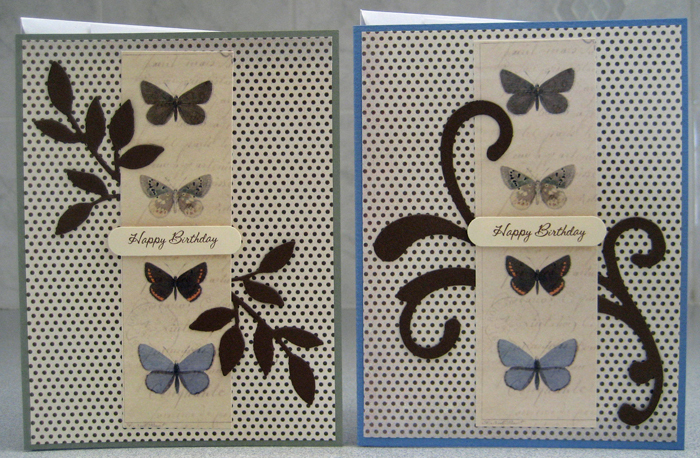 For this set of cards I used the same decorative paper (laser printed digital) for both cards. I mounted one on dark brown and the other on green card fronts. 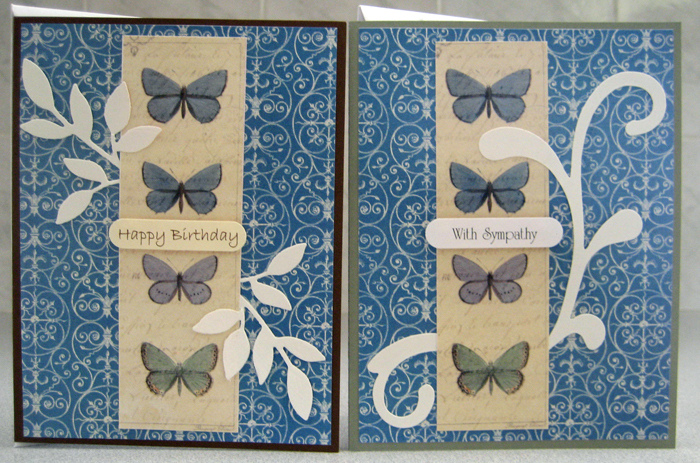 I added off white die cuts (leaves - SU, swirl - Sizzix) and laser printed Word Window greetings over the butterfly elements.